Their work is everywhere — from Cookeville to Nashville to Knoxville to Chattanooga — and beyond. 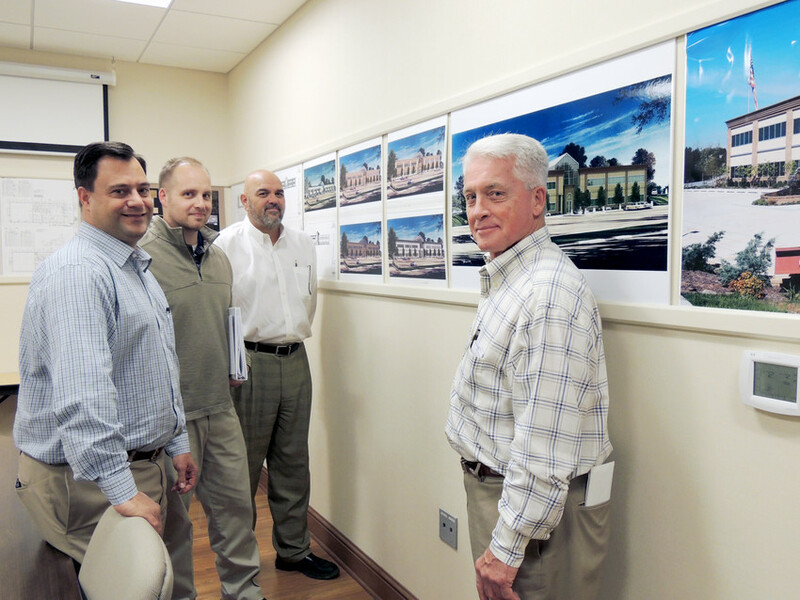 From retail to office space, no job is too small for J&S Construction, a family-owned construction company that is celebrating 60 years this year. "We're very blessed," Jack Stites, CEO, said. "We started off with maybe two people and had a max of 240 people at one time." The company was started by John D. Stites in 1957 as a small construction company that built spec houses. Its original location was on CC Camp Road where the shop is now. It grew over the years, moving to Willow Avenue before the current building on Foreman Drive was built. "We are in the service business," Jack said. "We do literally everything from hang a door to a $20 million project." Jack has been with the company 46 years and has seen a lot of changes throughout those years. "We pay attention to what we do," he said. "We have continuous training for our employees. If an employee knows of a training seminar they want to attend, we encourage them to go and the company pays for it." In 1980, there were two changes that came about. "We wanted the company to be built on Biblical principals and to be a design-build concept," Jack said. "Those were two completely new concepts at that time." And that's what spurred the growth. "In the construction industry, you are better off going with someone you trust and tell them your needs and budget," he said. "We encourage people to bring us on early in the project and see what the needs are so we can fit in a budget." There are architects, designers, draftsmen, craftsmen and a variety of project and field managers among the J&S crew. "When you treat people right, you get great results," he said. The Foreman Drive office building is more than an office building — it's an example of how J&S works. "We have a variety of designs in here," Jack said. "We take clients around and show them the different options they have when it comes to building what they want." He says the most notable projects over the 60 years has been the ones where the company gives back to the community. "To be able to help agencies such as the Cookeville Pregnancy Clinic, Mustard Seed Ranch and Habitat for Humanity is worthwhile," he said. "We don't know who will be touched by those groups, but that makes it all worth it." As for the future, he sees the business continue to grow. "Cookeville is doing great," he said. "We'll continue to grow the relationships we have and create new ones." He doesn't see retirement on the horizon anytime soon either. "When you stop loving what you're doing, that's time to go," he said. "But I don't see that anytime soon for me." For more information about J&S Construction, visit www.jsconstruction.com.